The variety of places to visit in Lavasa, spellbind all the visitors with its charisma. Being situated in the Western Ghats of Pune; Lavasa makes a perfect tourist destination, because of its enchanting panorama. The speciality of Lavasa is that it is a very well planned city that caters to every requirement and luxury of its visitors. Moreover, there is a Dam amidst stunning scenery that adds to the beauty of Lavasa. Apart from its natural surroundings that allure innumerable tourists every year, Lavasa is also a hub for all the adrenaline junkies. It proffers a plethora of activities for all those who are seeking some thrill in life. Trekking, Mountaineering, Camping and especially the water sports in the Warasgaon Lake are some are some heart throbbing attractions. One can admire the cultural heritage in this city and also relax by enjoying an exotic massage in Lavasa’s best ayurvedic centers. Another best thing about this city is its climate; it has pleasant climate throughout the year. 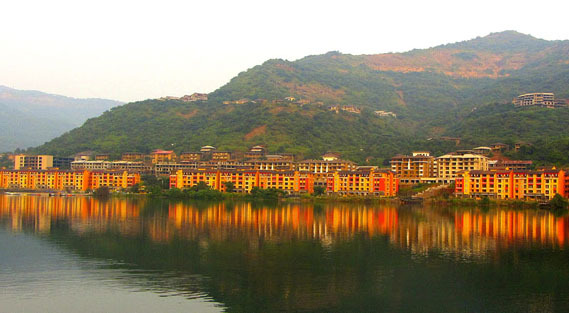 The eco friendly environment in Lavasa makes it a perfect weekend getaway.